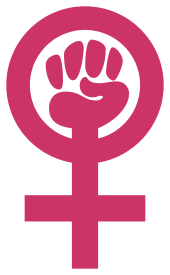 Mormon feminism is a feminist religious social movement concerned with the role of women within Mormonism. Mormon feminists advocate for a more significant recognition of Heavenly Mother, the ordination of women, gender equality, and social justice grounded in Mormon theology and history. The modern form of the movement has roots that go back to the founding of Mormonism, including the largely independent operation of the female Relief Society, priesthood blessings by women in early church history, and the women's suffrage movement in the western United States. The first wave of Mormon feminism embraced many of the ideas of liberal feminism that were a product of the Enlightenment, i.e., "the authority of individual reason, equality of the sexes, [and] rational/legal concerns such as the right to vote." In the early history of The Church of Jesus Christ of Latter-day Saints (LDS Church), early feminist assertions surfaced in the 1840s with the founding of the Female Relief Society of Nauvoo, Illinois, with Emma Hale Smith as its first president. Eliza R. Snow promoted the idea of a Heavenly Mother and equal status for women. Women were first included in Mormon prayer circles on September 28, 1843. The Woman's Exponent was a periodical published from 1872 until 1914 in Salt Lake City whose purpose was to uplift and strengthen women of the LDS Church and to educate those not of the Mormon faith about the women of Mormonism. With some help from the Relief Society, the Utah Territory was at the forefront of women's suffrage; in 1870, it became one of the first states or territories in the Union to grant women the vote, though the federal government removed the franchise from women in 1887 via the Edmunds–Tucker Act. Scholar Laura Vance has noted that Relief Society publications in the early twentieth century promoted ideas and ideals that were consistent with contemporary feminism. Esther Peterson, a Mormon woman who was the director of the United States Women's Bureau, proposed the idea of the Presidential Commission on the Status of Women in 1960, later signed into law in 1961. In 1993, Maxine Hanks, Lynne Kanavel Whitesides, and Lavina Fielding Anderson spoke out for women's rights and were excommunicated from the LDS Church as a part of the "September Six". Two other prominent feminist writers, Janice Merrill Allred and her sister Margaret Toscano, were also involved in courts at the time, but not excommunicated until 1995 and 2000 respectively. To some, it seemed like Mormon Feminism went underground or disappeared during the 1990s after September 1993. However, Mormon Feminists were starting to use other means of communication, like listservs, to continue dialogue without the threat of church discipline. Joanna Brooks left the church in the aftermath of the September Six, but later came back and spoke out for women's rights within the LDS Church. The Feminist Mormon Housewives group blog was started during the 2004 presidential election by Lisa Butterworth and four of her friends as a place to discuss liberal, feminist views. Caroline Kline, Jana Remy, Emily Clyde Curtis, and Deborah Farmer Kris founded The Exponent blog, an offshoot of the print publication, in January 2006. In July 2012, Hannah Wheelwright founded the Young Mormon Feminists blog. Neylan McBaine founded The Mormon Women Project in 2010 and is the editor-in-chief. This project supports feminist views within an orthodox and believing framework. In December 2012, a group led by Stephanie Lauritzen organized the first Wear Pants to Church Day, where women broke with cultural conventions and wore dress pants to church. This event initiated a wave of public activism by Mormon feminists. It was followed by Let Women Pray, which asked LDS Church leaders to consider letting a woman pray in General Conference. The following April, Jean A. Stevens became the first woman to pray in an LDS Church general conference session. In 2013, Kate Kelly, Lorie Winder Stromberg, and Hannah Wheelwright founded the Ordain Women organization and website to host profiles of individuals calling for the ordination of Mormon women. On June 23, 2014, Kelly's bishop informed her that she had been excommunicated in absentia. The letter states that Kelly's excommunication was due not to her personal beliefs, but her “aggressive effort to persuade other Church members to [her] point of view and that [her] course of action has threatened to erode the faith of others,” including “Six Discussions” aimed at other church members. Feminist Mormon women of color founded the blog FEMWOC in March 2015 to promote the voices and experiences of women of color within the community. It was founded by Gina Colvin, Natasha Smith, Bryndis Roberts, Kalani Tonga, and Jennifer Gonzalez. In 2015, an official essay was published on the church's website which surveyed 171 years of statements about a Mother in Heaven and confirmed that it was part of church doctrine. An accompanying essay stated that while neither Joseph Smith nor any other church leader ordained women to the priesthood, women do exercise priesthood authority without ordination. Brooks, Joanna; Steenblik, Rachel Hunt; Wheelwright, Hannah (1 October 2015). Mormon Feminism: Essential Writings. Oxford University Press. ISBN 978-0-19-024804-8. Hanks, Maxine (ed) (1992). Women and Authority: Re-emerging Mormon Feminism. Signature Books. Retrieved 13 October 2016. Finnegan, Jessica; Ross, Nancy (2013). ""I'm a Mormon Feminist": How Social Media Revitalized and Enlarged a Movement". Interdisciplinary Journal of Research on Religion. 9: 1–25. Ross, Nancy; Finnegan, Jessica (Winter 2014). "Mormon Feminist Perspectives on the Mormon Digital Awakening: A Study of Identity and Personal Narratives". Dialogue: A Journal of Mormon Thought. 47 (4): 47–75. Shepherd, Gordon; Anderson, Lavina Fielding; Shepherd, Gary (2015). Voices for Equality: Ordain Women and Resurgent Mormon Feminism. Greg Kofford Books. ISBN 1589587588. ↑ Hanks, Maxine. "Women and Authority: Re-emerging Mormon Feminism". Signature Books. Retrieved March 8, 2015. ↑ Michael, Quinn, D. (Fall 1978). Tate, Jr., Charles D, ed. Latter-day Saint Prayer Circles (PDF). 19. Provo, Utah: BYU Studies. pp. 84 & 105. Retrieved May 3, 2011. ↑ Vance, Laura (2002). "Evolution of Ideals for Women in Mormon Periodicals, 1897-1999". Sociology of Religion. 63 (1): 91–112. ↑ Ulrich, Laurel Thatcher (2010). "Mormon Women in the History of Second-Wave Feminism" (PDF). Dialogue: A Journal of Mormon Thought. 43 (2): 45–63. Retrieved 13 October 2016. ↑ Barlow, Rich, "A Feminist Look at the Mormon Faith", Boston Globe, 2006-06-17; accessed on 2008-03-27. 1 2 Young, Neil (September 2007). ""The ERA Is a Moral Issue": The Mormon Church, LDS Women, and the Defeat of the Equal Rights Amendment". Religion and Politics in the Contemporary United States. 59 (3): 623–644. JSTOR 40068443. ↑ Huefner, Dixie Snow (Spring 1978). "Church and Politics at the IWY Conference" (PDF). Dialogue. 11 (1): 58–75. Retrieved 24 October 2016. ↑ Young, Niel. "Equal Rights, Gay Rights and the Mormon Church". New York Times. ↑ Sillitoe, Linda, "Church Politics and Sonia Johnson: The Central Conundrum", Sunstone Magazine, Issue No: 19, January–February, 1980. ↑ Bentley, Amy (1990). "Comforting the Motherless Children: The Alice Louise Reynolds forum" (PDF). Dialogue. 23 (Fall): 39–60. Retrieved 29 February 2016. ↑ Stromberg, Lorie Winder (2015). "The Birth of Ordain Women". In Shepherd, Gordon; Anderson, Lavina Fielding; Shepherd, Gary. Voices for Equality: Ordain Women and Resurgent Mormon Feminism. Salt Lake City: Greg Kofford Books. pp. 6, 441. ISBN 978-1-58958-758-8. ↑ Stack, Peggy Fletcher (2013-05-16). "A Mormon mystery returns: Who is Heavenly Mother?". Salt Lake Tribune. Retrieved 2015-09-15. ↑ Toscano, Margaret. "The Mormons, Interviews". pbs.com. Retrieved 1 February 2016. ↑ Stack, Peggy Fletcher. "Where Have All the Mormon Feminists Gone?". Beliefnet. Retrieved 25 October 2016. ↑ Stromberg, Lorie Winder. "The Sacred and the Mundane: Mormon Electronic Discussion Groups". Sunstone. Retrieved 25 October 2016. ↑ Riley, Duncan (March 28, 2005). "Feminist Mormon uses blog to spread message". The Blog Herald. Retrieved 2009-04-28. ↑ Stack, Peggy Fletcher (October 6, 2007). "LDS Web site offers 'a safe place to be feminist and faithful'". Salt Lake Tribune. Retrieved 2009-04-27. ↑ Kline, Caroline. "A Conversation with the Exponent II blog". Rational Faiths. Retrieved 11 October 2016. ↑ Oyler, Lauren. "This Is What a Mormon Feminist Looks Like". Vice. Retrieved 13 October 2016. ↑ Stack, Peggy Fletcher. "Forget priesthood — some Mormon feminists seek a middle way". Salt Lake Tribune. Retrieved 11 October 2016. ↑ McBaine, Neylan. "About Neylan". NeylanMcBaine.com. Retrieved April 29, 2011. ↑ Stack, Peggy Fletcher (September 28, 2010). "Mormon feminism: It's back". Salt Lake Tribune. ↑ Pratt, Timothy. "Mormon Women Set Out to Take a Stand, in Pants". New York Times. Retrieved 11 October 2016. ↑ Green-Miner, Brittany (January 17, 2013). "Campaign calls for LDS Church to 'Let Women Pray'". Fox 13 Salt Lake City. Retrieved 11 October 2016. ↑ Peggy Fletcher Stack, "First prayer by woman offered at Mormon conference", The Salt Lake Tribune, 2013-04-06. ↑ David Kelly, "In rare event, woman leads prayer at major Mormon conference", Los Angeles Times, 2013-04-06. ↑ Doug Barry, "Woman Leads Mormons in Prayer for the First Time in Forever", Jezebel, 2013-04-06. ↑ "Letter to Kate Kelly - The Washington Post". Apps.washingtonpost.com. 2014-06-30. Retrieved 2015-08-20. ↑ Fletcher, Peggy. "Utah Local News - Salt Lake City News, Sports, Archive - The Salt Lake Tribune". Sltrib.com. Retrieved 2015-08-20. ↑ Colvin, Gina; Roberts, Bryndis; Gonzalez, Jennifer; Smith, Natasha; Tonga, Kalani. "Femwoc Women Of Color Crash The Bloggernacle Party". Sunstone Magazine. Sunstone Education Foundation. Retrieved 24 October 2016. 1 2 Tad Walch. "LDS Church releases new essays about women and the priesthood and Heavenly Mother". Deseret News. Retrieved 2015-11-01.